Two-legged predators, just like the four-legged variety, often run in packs. 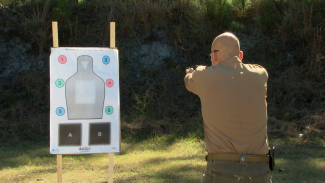 You are not getting the most out of valuable training time if you stand on a square range facing a one-dimensional flat target. 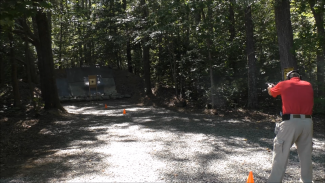 Alessandro Padovani of Safer Faster Defense looks at four important factors that will help us when dealing with multiple assailants using the split and stack strategy: angle, distance, speed and accuracy. Practicing your drawstroke with your hands always in the same position will make you faster and more consistent on the range, but it may be setting you up for faiurel in the real world. 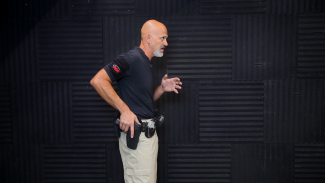 Rob Pincus demonstrates an alternative that may make a lethal encounter more survivable. 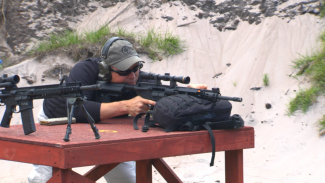 Finding the correct blend of speed and accuracy when shooting is important whether you are shooting a qualification course, a competition, or protecting your life and those of your loved ones. Retired Supervisory Federal Agent Ken Trice developed this drill to help you gauge your progress from medium distance to bad-breath range.